Can CBD Vape Juice Lead to a Happier Life? 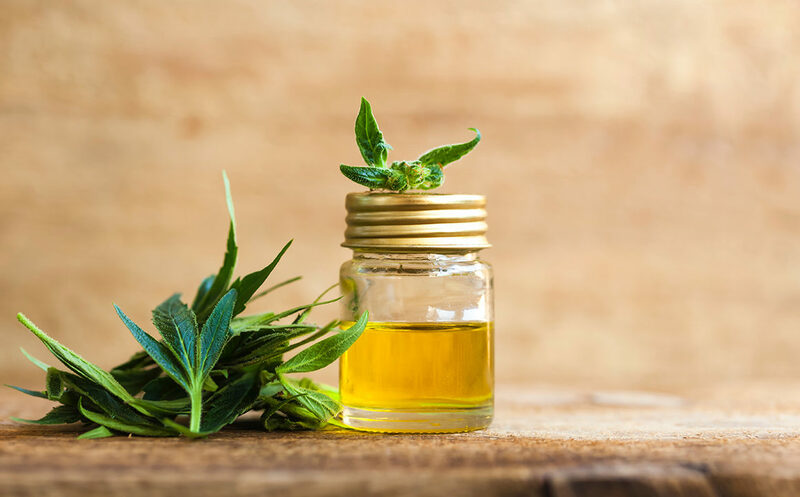 Who would have thought that introducing something like CBD Vape Juice into daily living could produce such a positive change? As children we could not wait to be adults, now that we are adults we realize how much we took for granted as children, like nap time. Many of us working the nine to five would give a right arm to have a mandatory nap time, right? But we don’t get that, so we opt for our more mature alternative… caffeine. By Friday I am 3 caffeinated drinks deep. My morning coffee, afternoon tea, and if there are Friday night plans, there is a Starbucks stop on the way home from work. I know people who drink coffee literally all day long. I don’t understand how they don’t have the jitters, crashes, ulcers, and kidney pain. Caffeine has some great perks as well, but it’s good to balance your intake with a variety of caffeinated products. The Mayo Clinic suggests that a healthy amount of caffeine for an adult is no more than 400mg daily, which averages to about 4 cups of coffee. Besides the antioxidant and anti-aging benefits in coffee, research shows that caffeine can help prevent Alzheimers, Parkinson’s disease, and some cancers such an mouth, throat, and skin just to name a few. It also decreases the risk of two types of diabetes, can reduce risk of stroke by 22%, and improves heart health. So what’s not to love about caffeine? Very few things in comparison, I think. Below you can read about and shop some of my favorite caffeinated products I rely on to get me through the day! Remember the one rule of thumb is to never have caffeine after 5 pm, or 6 hours before you plan to hit the hay. It’s so easy to get caught up in our daily routine. For us working folks, we wake, we go to work, we come home from work, dinner, shower, bed. In between it’s easy to make a habit of grabbing something like a cereal bar to eat because that’s what is easy and filling for the moment when we don’t have much time to think about it. After some time our bodies start seriously lacking essential nutrients that it needs to function properly and be healthy. I’ve spent weeks researching (and testing) ways that I can improve my overall health via my favorite way- food and beverage consumption, and I have decided to share my favorites with you. Below you will will read about DELICIOUS daily treats that are beneficial to your health. Some requiring little to no effort. Juices VS Smoothies: Which Drink Is ‘Healthier’? When we talk about healthy living, the word(s) juice, juice cleanse, and smoothies will usually make an appearance. There are many different types of smoothies and juices, and so the words themselves can seem overwhelming for many, and of course more information is key in making the right choice for you, as well as in terms of your actual health goals. You can often hear people going on juice cleanses or diets, usually with the goal of attaining better health in some regard. Many people opt for short term juice cleanses to end some bloating or lose a couple of quick pounds, and others may opt for long term juice cleanses in order to ‘detoxify’ (this can be a very vague term) their bodies or ‘cleanse’ themselves. There are juice cleanses focused on weight loss, removing toxins from your body, and ones that have specific elimination targets such as yeasts like candida. The general idea during a juice cleanse is to only consume the juice as well as water, with no other foods. Smoothies, on the other hand, are usually incorporated into one’s diet with the idea of having it more often, even once a day, as a meal replacement or a way to get in nutrients or vegetable servings in quicker and in a more convenient manner. There are of course different types of smoothies, some created simply as a dessert, some focused on protein (usually in powder forms), and some focused on simply incorporating more vegetables in a diet (most commonly called a ‘green smoothie’, or can include pre-made mix powders). Juices are when you use a juicer (there are many different kinds available) to separate the pulp from the liquid by putting the vegetables and fruits in the juicer, and then consuming the liquid itself, which can be diluted with water. A smoothie, on the other hand, is when you put a mix of vegetables and fruits, or just fruits or vegetables, into the blender with some liquid and blend it all together, pulp included, and consume the entire drink‚ which is of course much thicker, as well as much more filling, than what a juice would be. While there are pros to both options on a regular basis, the overall benefit is still dependent on what the end goal is and it all depends on what the actual ingredients going inside either one are. Many smoothies, especially when bought out in stands or even in restaurants, can just be meant as a type of dessert, filled with a bunch of fruits, blended with sugar and milk, and could even include some extra syrups as sweeteners! So of course saying you would like a smoothie can mean very different things, depending on where you are or who is actually making it. It is especially important to be conscious of this during the summer months, when smoothie stands are seemingly on every corner, boasting about their health benefits, and can really be made up of sweet fruits with sugar and milk, which can serve as a refreshing treat in the summer, but it is not the kind of smoothie we want to focus on. There are also many protein-based smoothie mixes available, and it is important to carefully read and research the ingredients, as they can do more harm than good, and in many cases, have sugar or flour as the main ingredients if they are not a quality brand! In the same sense, a juice may also simply be a bunch of fruit, again sweetened. And we of course are not including commercially made juices in this regard, as they are usually full of sugar and the processing methods can actually strip the fruit of any nutrients it did actually contain. However, when done correctly, both smoothies and juices can actually be very beneficial and healthy. When we talk about juices, they are usually for a full day (and often much more), and meant as some sort of cleanse. When going for a long period of time (there are some that can be over a week or 10 days), it is important to make sure you are doing it correctly to avoid any potential problems, and it is a good idea to check with your doctor, nutritionist and/or naturpath beforehand. The idea behind juices is that they are essentially direct shots of vitamins and minerals, filled with anti-oxidants, which help your body to cleanse or ‘detox’ itself. Our bodies spend so much of their energy focusing on breaking down what we eat, and as many people eat processed and heavy foods and eat late into the night, it can send our livers on overdrive, overworking them and not allowing them to focus on breaking down toxins. When we therefore choose to be on a juice cleanse, our bodies can then have the focus of breaking down toxins, and are being fueled by the juice’s beneficial nutrients itself. This is why it is extremely important to make sure what you are consuming as a juice is actually good for you, as this is the only form of sustenance on a juice cleanse. When doing any type of juice cleanse, they all also recommend a similar process of easing into the cleanse, as well as easing out of the cleanse. What this means is simply in order to avoid ‘shocking’ your body, and going abruptly from eating heavy or processed foods straight to consuming only liquids, there should be an easing in process, which includes eating light meals that are mostly vegetarian for a few days before beginning. After the juice cleanse, and depending of course on how long it has been done, many people have cravings and want to eat heavy or processed foods that they miss. Just as with the beginning, it is important to then ease out of the juice cleanse as to not ‘shock’ your body, by eating soups or solid foods that are still light. Smoothies can of course be very nutritious for you as well, when made right. The general idea is to consume a ‘green’ smoothie, which generally means that the majority, or at least half of what you put into the blender and smoothie, are vegetables or specifically greens. Green leafy vegetables are packed with vitamins, minerals and many other nutrients, so they are always a great option to include. Some, for example, can be spinach, kale, parsley, cilantro, beet greens (leaves), and so on. Some of these options can of course be bitter, so the idea is to include some sweet fruits in order to change the taste, but still keeping it mostly vegetable based. Smoothies are also excellent ways to include beneficial ‘add-ons’ you want to incorporate into your diet. Many people enjoy the benefits of flax seed powder, spirulina, or maca root powder, for example, but remembering to consume all three can be difficult or inconvenient. However, when you make a smoothie, you can easily add these (or other) options and also mask any potential undesirable flavours from them. So while both of these options can be nutritious and healthy when done correctly, when comparing them, you can see which one is better for you, as well as which, in the long-term is a better option. While you can skip ideas of juice cleanses, and simply make juices to add to your daily or weekly diet, there are reasons smoothies are more common or desirable on a long-term basis. The two reasons include that they are better in terms of waste, and the most important one, they are filled with fibre. When you make juices, as your are separating the pulp from the fruits and vegetables, that pulp goes into a separate area in the juicer, which many people toss out. There are some ways to reduce this waste, including juicing vegetables first, and then removing the pulp before adding fruits and freezing it to use in vegetable based broth or simply adding to a homemade soup, or when juicing fruits, again keeping it separate and removing it, and using the pulp as an ingredient in baked or raw desserts. Of course some of the flavour will be removed, but it can still serve as a good base in either option. An important note with juices, however, can be keeping stems or vegetable or fruit peels you remove for recipes (or even for smoothies), and juicing them. This can eliminate other forms of waste, and the stems and peels of vegetables and fruits you may otherwise not want to consume still contain nutrients, so this can be a great use for them! The second reason that makes smoothies a more desirable option in terms of long-term or consistent use is the main component in them: fibre. As the fibre is found in the pulp when you juice, you are not consuming it, whereas with a smoothie, you are technically consuming the entire fruit or vegetable‚ just as a liquid form, and therefore getting the fibre as well. Why is fibre so important? It promotes regularity, removes toxins from our bodies, and keeps our small intestine empty and clean, allowing nutrients to be absorbed. On top of the vitamins, minerals and enzymes found in fresh fruits and vegetables that are essential to our well-being, fibre is also key in this regard, and with its many health benefits, it is easy to understand why eating fibre-rich foods is so important in our daily diet. For many people, eating the recommended amount of fruits and vegetables can be difficult, especially for those who are accustomed to cooking or who, with busy schedules, have trouble finding time. For days, weeks, or even months like this, getting one smoothie in a day can at least guarantee some fresh vegetable and fruit consumption for the entire day. Especially on days you know you will be busy, or working late, or going out to dinner or to a celebration, drinking a smoothie in the morning can at least guarantee a good amount of vegetables and fruits, even if you are not able to get any in afterwards! 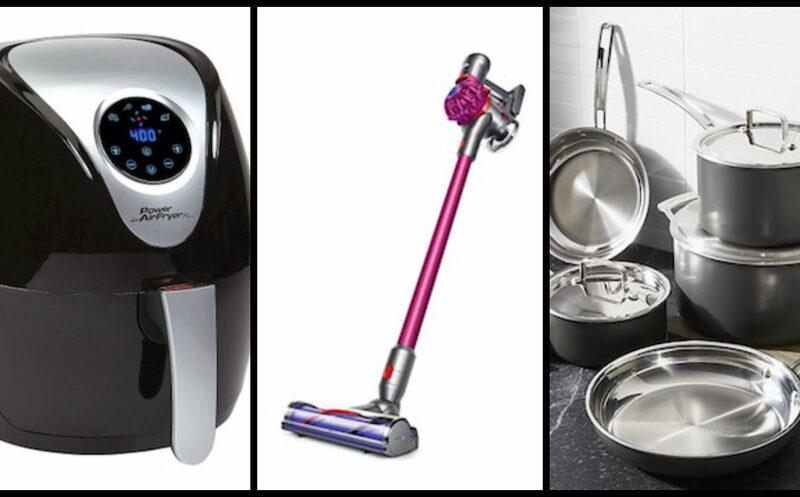 It is also very convenient and easy, and you simply need a blender and fresh fruits and vegetables on hand. 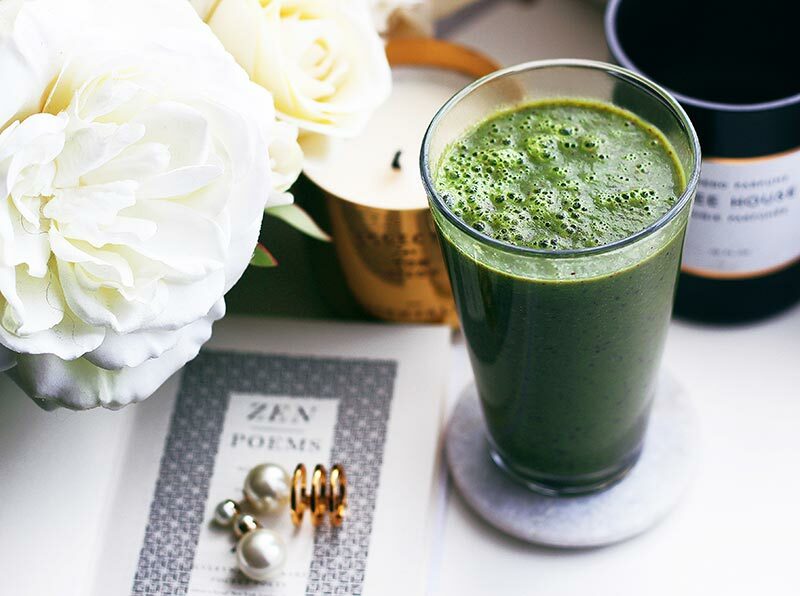 While a smoothie is beneficial any time of day, mornings are best as you never know what the day can bring and you may not come home in time to make one in the late afternoon or evening, and as it is blended, it is easy to digest so this makes it an ideal breakfast option. Simply choose, for example, two types of greens (kale and parsley is one pair idea), and then you can pair it with a cucumber or carrot, and one very sweet fruit, like an orange or apple. Oranges work well since you can use the amount you want, depending on the taste you would like, and the vitamin C content helps absorb the iron found in the dark leafy greens. Simply wash and chop the greens and vegetables and fruits, add them to your blender with enough water depending on the consistency you would like, add on any extra nutritious add-ons, and blend until there are no large pieces left, and everything is smooth. It will depend on the type of blender you have, but this can take anywhere from 30 seconds to two minutes. Aim to drink it as fresh as possible, as the nutrient content will begin to lessen as the ‘exposed’ fruits and vegetables will now be affected by oxidation. Make sure to change the recipe up, incorporating different greens, vegetables, and fruits in order to keep them interesting and to avoid boredom in terms of taste. Just make sure to keep them ‘green’ in the sense of having mostly vegetables in them! So while juices are of course beneficial, and they do have a time and a place, notably in juice cleanses, when wanting a health-kick on a long-term and consistent basis, that also does not create waste and is a very convenient way of getting in some much needed nutrients‚ including fibre, green smoothies are a much better choice! Now that you know how to make your own chocolate, and see how simple and delicious home made healthy versions of your favourite sweets can be, why not move onto the next level and also create homemade desserts? The following recipe combines the idea of cakes, pie crusts, and homemade chocolate all together in one easy to make a healthy treat with many additional benefits. 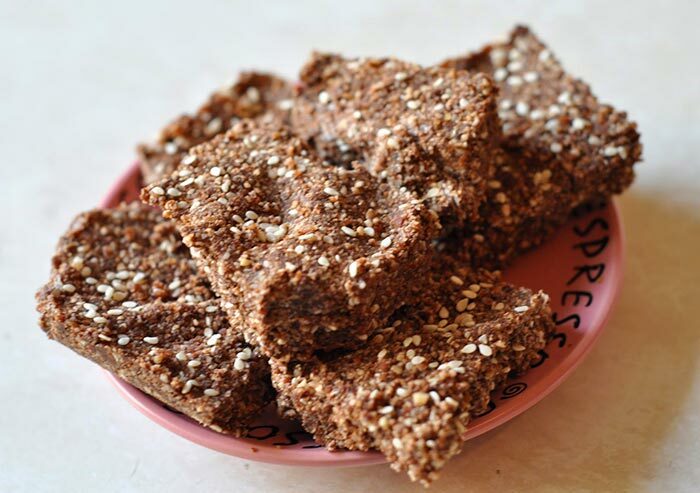 This walnut-date squares recipe is suitable for vegans as well, and depending on what type of cacao powder you end up using, it can also be considered raw. Packed with protein, anti-oxidants, calcium, Essential Fatty Acids (EFAs), and fibre, this is a perfect dessert to enjoy anytime, and as a result of its incredible taste, no one will be able to suspect it is actually good for you! All you need for this recipe are walnuts (can also use almonds instead), dates, sea salt, cacao powder (if you can find a raw one you can use that), sesame seeds, and as always, there can be a few additional add-ons you can pick and choose from to customize and personalize this dessert, and also have options for variety! The appliance that would be ideal in this case would be a food processor. See also: Juices VS Smoothies: Which Drink Is ‘Healthier? The benefit of making your own dessert is of course knowing what is going into it, with ingredients you can actually pronounce as well as trust, and being able to add healthy components so that having a sweet tooth craving doesn’t have to always equate to having a guilt trip or automatically equal some notion of “cheating’. The idea is not so much to remove things that are sweet from your daily intake, but rather, to offer options that are not full of processed ingredients, and actually offer some sort of health benefits. To begin, you simply start with your walnuts and food processor. If you buy your walnuts with their shells intact, just put on some music and begin cracking! If you buy your walnuts with the shell removed, always make sure they have not gone rancid, since they do contain Essential Fatty Acids, which are sensitive to both heat and light, and you can usually tell simply by tasting them. If the walnuts have a bitter taste and that taste lingers, they are most likely already rancid. They should have a light, pleasant, and nutty flavour to them, rather than bitter. You can keep walnuts that have been removed from their shells in a bag in your freezer so they last longer and remain fresh. Once you have your walnuts ready, take about one cup (can adjust these portions to make more or less), and put them into your food processor. Begin processing them until they become a coarse flour type consistency, but they do not need to be too fine. Next you can add some sea salt to the mix. You can adjust to your taste bud preference, but usually about 1/8th of a teaspoon does the job! Do a quick grind with the salt to distribute it and then you can move on to the next part. Dates are excellent for sugar or sweet replacements. When they are good quality and fresh, they can melt in your mouth and are extremely sweet, so they are able to satisfy even the strongest sugar cravings. They also contain fibre, which helps to regulate our blood sugar levels and will prevent any symptoms of sugar spikes and crashes‚Äö√Ñ√∂‚àö√ë‚àö√Ümost notably headaches, fatigue, irritability, moodiness, and so on. You simply need to pit the dates and make sure you discard all of the seeds as they can damage your food processor, and you can either add them in their halves or as a whole to your walnut and salt mix. The amount needed will depend on how fresh they are, as we are aiming to have the dates serve not only as a sweetener, but also as the “glue’ that will hold all the dry ingredients together. Process all these ingredients together and add more until there is a slightly sticky consistency being created. Next you can add cacao powder to the mix. It is always best to start with small amounts, process it, try the mixture, and then you can add more if needed or wanted, rather than beginning with a large amount and not being able to remove any. Add the sesame seeds next, and you can add one or two heaping tablespoons. Among their other nutritional benefits, one you may not realize is that sesame seeds are actually great sources of calcium! The only problem is that people tend to chew their food so quickly and not very thoroughly, and since sesame seeds are so small, they simply are not being broken down and digested properly when not chewed well enough initially. So this dessert also serves as a good reminder to chew your food thoroughly! Before this recipe is complete, there are of course some optional add-ons you can add to either this mixture as flavour enhancers, or on top simply as a decoration. You can add cinnamon powder or coconut flakes for the taste, flax seed powder for the additional fibre and EFAs, and any other spice you prefer, or fresh berries such as raspberry or blackberry. If you opt for berries, just make sure to add them gradually to make sure the liquid released does not completely change the consistency, as we need it to remain sticky enough to mold it! Once you have processed all of these ingredients together, simply put the contents into a pan of any shape, and in terms of size you can use either kind and make this dessert thin or thick. Flatten it out into the pan. Add any additional decorative add-ons now, cut your squares into the mold while it is very soft, and simply keep it (with a lid) in the fridge or freezer. You can enjoy a square with your morning tea, as an afternoon snack, or as an evening treat! This dessert contains protein, EFAs, calcium, anti-oxidants, and fibre, is both vegan and potentially raw, and nothing you can buy pre-made or packaged can compete with that! Chocolate. Oh, how we all love it! 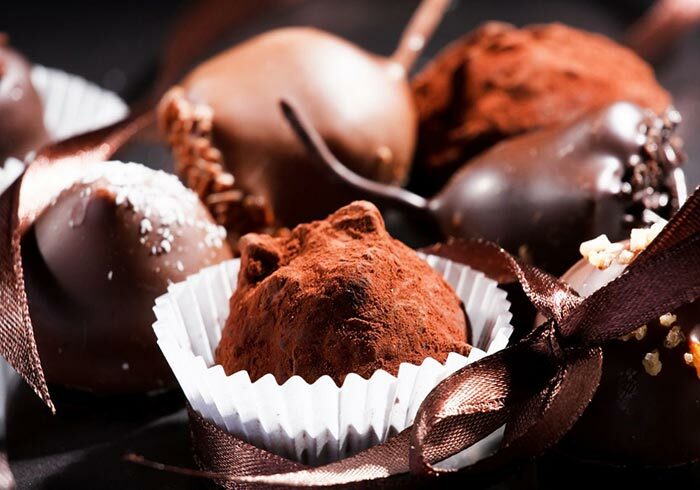 Dark chocolate, raw chocolate, white chocolate, milk chocolate, nut or fruit filled chocolate, there is usually an option to satisfy everyone’s specific taste buds. There are people who buy it daily as the cravings come in, or specifically for after a meal, and those have exercised will power to the extent of being able to keep large amounts in their homes, and just taking it as they crave it. Whether or not you have this level of will power, making your own chocolate rather than buying it makes sense for a lot of different reasons. You know what’s in it: many commercial brands of chocolate have more ingredients than you can count or even pronounce, with sugar and/or sweeteners being the main one. When you make your own chocolate, you are using your own ingredients and therefore are making sure there are no hidden surprises. You can also this way accommodate any allergies, intolerances or dietary restrictions you or others may have. You can adjust the recipe to cater to your specific tastes: do you like cinnamon in your chocolate? How about some sea salt? What about dates as a sweetener rather than sugar? When you make your own chocolate, you can experiment with options you enjoy and make personalized bars catered to you, without relying on someone else to do that! You can make it a healthier option: love chocolate on a daily basis but worried about the unhealthy ingredients? When you make your own chocolate, you can add some power house ingredients full of nutrients that help make your dessert or treat a healthier one! You can add flax seed fibre to increase the fibre and Essential Fatty Acid content, or maca root powder to include an adaptogen that help you deal with stress. Better on your wallet: remember, the cheaper the ingredients, the cheaper the final product. So while a $1.99 chocolate bar may seem appealing in the short term, if you spend more on the initial first time to buy good quality ingredients, it will actually save you more in the long run. There are a few basic ingredients to make chocolate, and you can make large amounts and store it, or simply keep the ingredients on hand to make chocolate as your cravings hit (also a better option for those who lack the will power mentioned above!). So, what are the three basic ingredients you need in order to make a chocolate base? Cacao powder, coconut oil, and a sweetener of your choice! That’s all that is required for delicious chocolate you can make at home, and you probably have one if not more of these ingredients in your kitchen already. Of course there will be many options for ‘add-ons’ to customize it and make it right for you. Coconut oil serves as the base and the ‘glue’ that forms the chocolate and keeps it together. Remember, since coconut oil will change consistency from liquid to a solid based on temperature, it is best to keep the end result in the fridge to keep it as a solid. As coconut oil is mostly a medium chain fatty acid and contains healthy fats such as lauric acid, caprylic acid, and capric acid. It has been researched for its antiviral and antibacterial components, and is considered to be a fat that is also good (inside and out) for the skin. The taste is also desirable in any dessert or chocolate based recipes and is preferred over different types of bases or oils. Cacao powder is of course where the chocolate flavour comes from, and the unsweetened version is what we are looking for in this recipe, for two reasons. First, we will be sweetening the chocolate ourselves, and second, we do not want any of those added sugars or unnecessary ingredients the sweetened version may contain. Cacao is full of antioxidants as well as nutrients such as magnesium, that when processed, can be stripped of those nutrients, or have them canceled out. Powder form is idea for this recipe and you can add cacao nibs as an extra add-on for crunch. A sweetener is going to take this dark and bitter chocolate (which many may actually prefer already) to the next level, and the best part is, you can adjust according to what level of sweetness you want in your chocolate. The best examples of sweeteners for this recipe include maple syrup, honey, or pitted, chopped, and soaked dates. All three work well in any chocolate recipe, so just pick the one you prefer‚Äö√Ñ√∂‚àö√ë‚àö√Üeither in terms of taste or what you already have in your kitchen, and you can get started! The first step is to simply warm the coconut oil. You can do this in the summer by simply leaving it out, or double boiling an amount until it becomes a liquid. Then you would simply pour that into a bowl, tray, or pan (also depends on what shape you prefer), mix in the cacao powder until it becomes a thicker paste, and add the sweetener to your liking. If you are going with dates, before beginning, simply pit and chop them up, and pour a little bit of hot water over them so they disintegrate and cover them until you are ready to make your recipe. Although even when made thicker it can still seem too ‘soft’ compared to the chocolate you are used to, once you put the mixture in the fridge, it will become harder without being brittle, creamy but still solid. You can cut the shapes or squares you like before putting it into the fridge, and snack on this delicious home made chocolate once it has been set! Add-ons in this case only better the initial recipe and personalize it for you. Change the toppings every time you make it to discover new recipes and matches! Some popular options include vanilla extract, toasted seeds or nuts, coconut flakes, goji berries, sea salt, cinnamon, cardamom powder, and/or dried fruits! In order to keep it even healthier, you can add flax seed powder for its high soluble fibre content and EFAs, a bit of spirulina for its rich minerals and B-vitamins, or maca root powder for long-term adrenal support! Homemade Banana Ice Cream Recipe: Delicious Frozen Treat for the Heat! With spring quickly coming to an end, and the heat of summer taking over, we all have one thing on our minds: ice cream. Whether your preference is in season fruit-filled flavours, or classic creamy chocolate and vanilla swirls, on cones or in cups, you can not deny that when the heat hits, it’s the best choice in the sense of satisfying your sweet tooth as well as cooling you off. Ice cream shops and ice cream stands are staple in most places, and of course you can get your treat on the go for enjoying later in the comfort of your own home. However, summer also tends to be the time many people opt for crash diets with goals of losing those “last five pounds’ or having their ideal “bikini bodies’. So with a more calorie conscious mindset simultaneously rising with the craving for ice cool creamy treats, it is best to look for some sort of compromise. This homemade banana ‘ice cream’ is both delicious and healthy, an amazing frozen treat for the hot summer weather! Ice cream can also be heavy for many people, especially in the heat, as it is usually made with milk and cream, and is loaded with more sugar or sweeteners than you may realize. Ice cream can contain sugar, corn syrup, cane sugar, beet sugar, as well as many other sweeteners. The dairy in it as well is of course not suitable for vegans, as well as those who have a lactose intolerance and/or milk allergy. While there are more and more options for frozen treats you can make at home, most tend to focus on Popsicle style ideas you can make in ice cube trays, or even ones you can add alcohol to for parties. However, when you want something cool as well as creamy, one fruit is definitely the main focus when it comes to homemade recipes: bananas. Bananas, deliciously sweet as well as rich and creamy, are one of the best substitutes in terms of ice creams you can make at home. They contain vitamin B6, vitamin C, copper, biotin, manganese, and of course potassium, the mineral it is best known for having! As they are sweet, bananas of course do contain sugar, however, they also contain fibre, which helps to keep our blood sugar levels in check and regulated. As they also contain a good mix of minerals, vitamins, carbohydrates, fibre, and of course specifically electrolytes (potassium), they are a favourtie go-to option for many athletes or physically active people for boosting energy levels and to deter the prevalence of muscle cramps, as that can be a sign of low electrolyte levels. So banana based ice cream is not only a delicious treat suitable for vegans and those who have trouble digesting dairy products, but also a great option for those active and busy summer days! When choosing bananas, most people opt for a bunch with some bananas close to being perfectly ripe, and others still having some green left to them to make sure they do not go bad quickly and can last throughout a week. However, with banana ice cream in mind, it is best to get ones that are just ripe and soft, but still not brown or mushy of course! While there will be two options for this treat: one for those who do not have a blender or food processor and one for those who do, in both cases, they will have to be frozen as soon as possible so it is best that they are ripened to begin with. After buying some ripened bananas, in both cases of preparation, the next step is to choose the amount you want to freeze. Many online recipes usually recommend four bananas, as it is enough to treat as a ‘trial’, but also enough to enjoy for a few days, or one or two times with some friends. You simply need to peel all the bananas you wish to freeze, and then chop them into smaller pieces, put them in a bag you can close fully or in a jar, and keep them in the freezer until they are completely frozen. For those who do not, making banana ‘ice cream’ is extremely simple, and it may seem too good to be true, but once you try it you can see for yourself! After you have frozen your bite-size banana slices, remove them from the freezer, put the amount you want in a bowl or plate, put some of the toppings (options below), and enjoy! When bananas are frozen, it brings out the rich creaminess found in them, and you will notice that flavour right away. While it may not have the texture of ice cream (which can really only be done with the help of kitchen appliances), the taste is still fantastic and a great alternative! For those with a blender or food processor, there are just a few more steps to go in order to have your delicious dessert ready! Once your frozen banana slices are done, remove them from the freezer and put the contents in either your blender or food processor. You can add some dairy-free milk options (almond or rice would work well) to keep the blending or processing smooth and to add to the creaminess of the final product. Blend or process the bananas until they are smooth: this may require you to stop and start a couple of times and stir everything in. Once it is smooth, you can transfer it to a container with a lid and keep it in the freezer. Once blended or processed, however, it is ready to eat so you can make it and enjoy it right away as well! Although this recipe, especially the blended or processed version, is very similar to ice cream itself, there is always room for more add-ons and toppings to really perfect it and in order to keep things interesting every time you make it! You can add some cacao powder and/or cinnamon while blending or processing the bananas for delicious alternatives. Once it is ready, you can then top it with fresh berries, toasted nuts or seeds, or with toppings such as coconut flakes or cut up dates for an extra touch of sweetness! 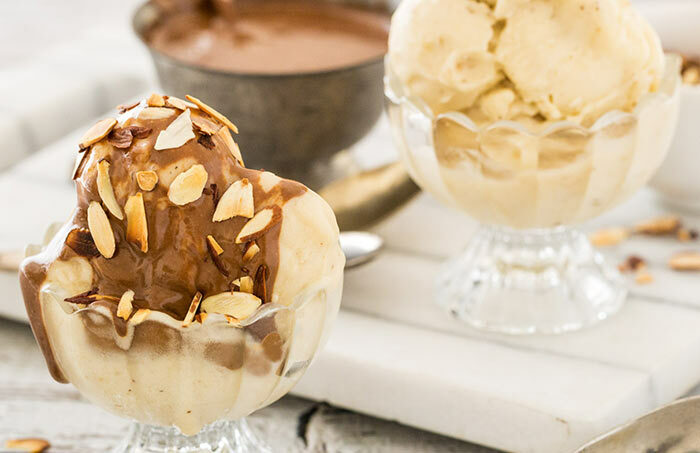 Whatever your preference, opt for homemade banana ice cream and enjoy a cool, creamy, and refreshingly healthy alternative to ice cream any time of the year!